Our women’s cross country team put in their best performance of the season to win the latest Midland Women’s XC League race at Droitwich. 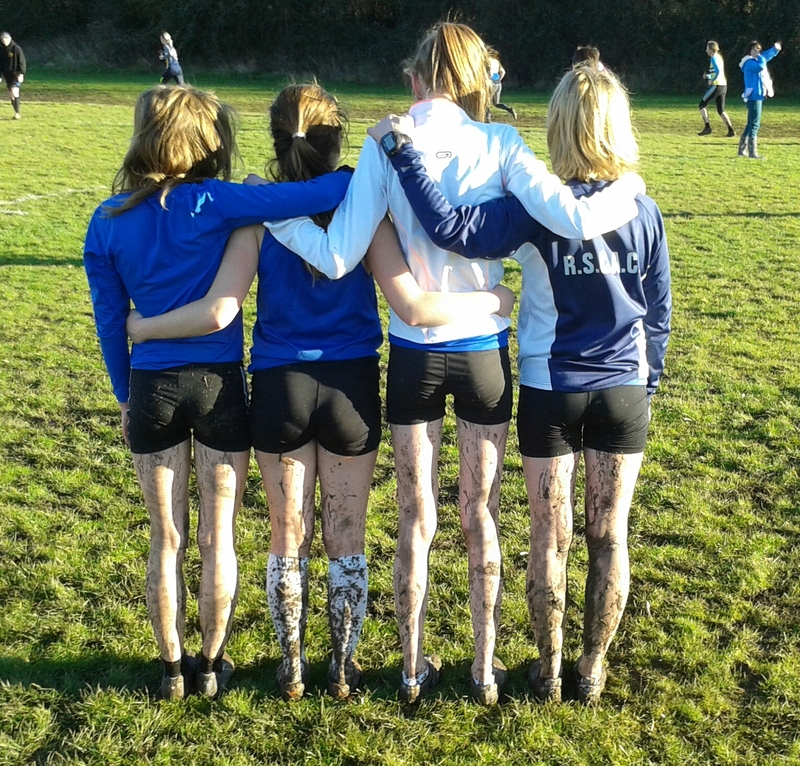 On a muddy course (thanks Andrea for sending in a photo of the team’s muddy legs as proof!) everyone ran superbly to beat the 35 other teams including all the best clubs and Universities in the region. As usual there was a high quality field, with the race won by 2013 ITU Triathlon World Champion Non Stanford (yes – you read that right!). Katie Ingle was not far behind, finishing in a superb 3rd place. Megan McBrien was 13th, Larna Partridge 21st, Andrea Deathridge 32nd and Amy Johnson 65th. Fantastic running by everyone! The results are available on the Midland Counties website. Photos taken by Dave Payne are available on the Mudrunner Photography FLICKR page.